Why are we so quick to choose sides when it comes to science and the Bible? It seems like we often assume that science is about trying to disprove the Bible or to prove that God doesn’t exist and that faith has no use for science, but in reality they are both about finding truth. Science is about discovering physical truth; the Bible is about discovering spiritual truth. Science proves you are here. The Bible tells you why you are here. Does anything about this toy seem strange? 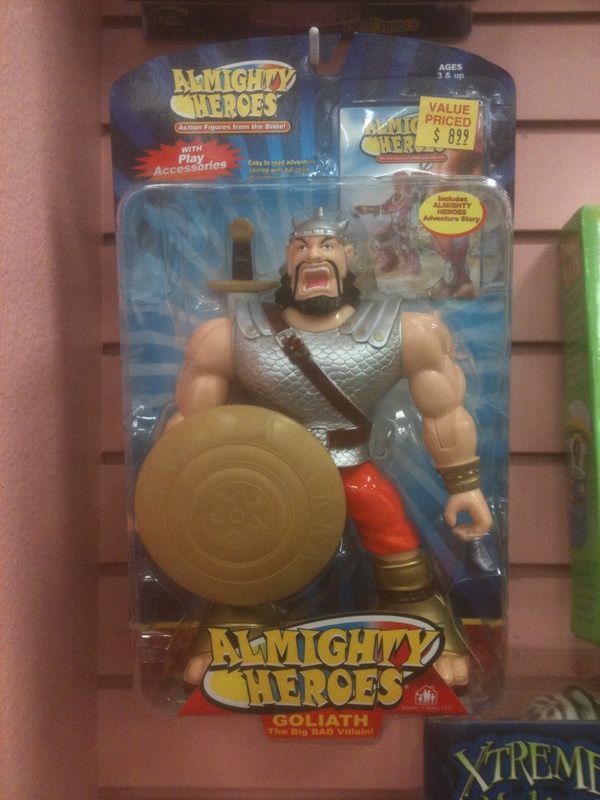 Perhaps the fact that Goliath is one of the characters in a series labeled “Almighty Heroes”? I guess the way that I’ve always heard and read the story was wrong. Apparently Goliath was the hero of the story. Maybe the strangest part of this is that David is not included in this line of toys. Among those who did make the cut along with Goliath…the lions that didn’t eat Daniel, Samson, and the “whale” that swallowed Jonah. Yup, that makes perfect sense. If you haven’t had any awkward conversations with your children lately, I would suggest picking up this fine piece from your local Target store. 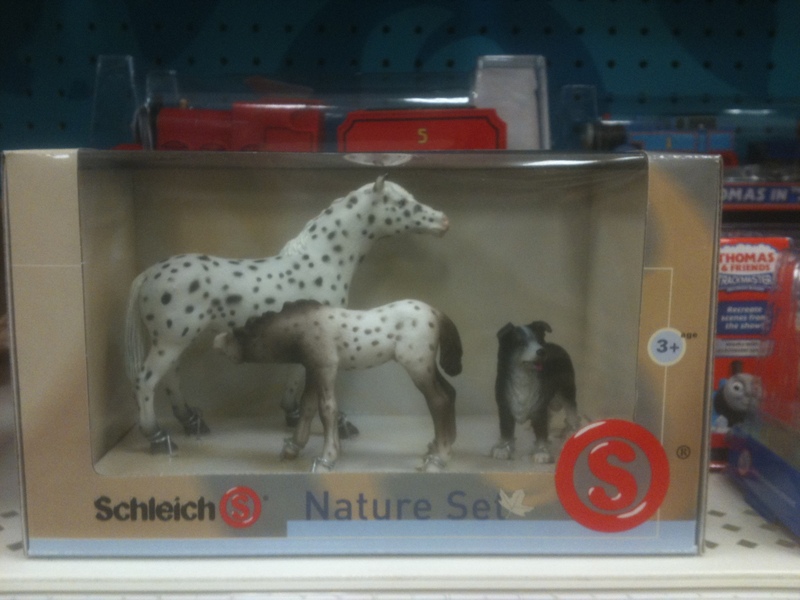 As if the horse feeding isn’t strange enough, then they went and put the dog in there for some reason. It’s like when you are stuck in a small area and realize that someone is breastfeeding just a few feet away. Suddenly you look for anything else to focus on and when you finally find something, there is nothing that will break your focus. Those interactive Dinosaur Train toys across the aisle just became the most amazing thing that dog has ever seen. 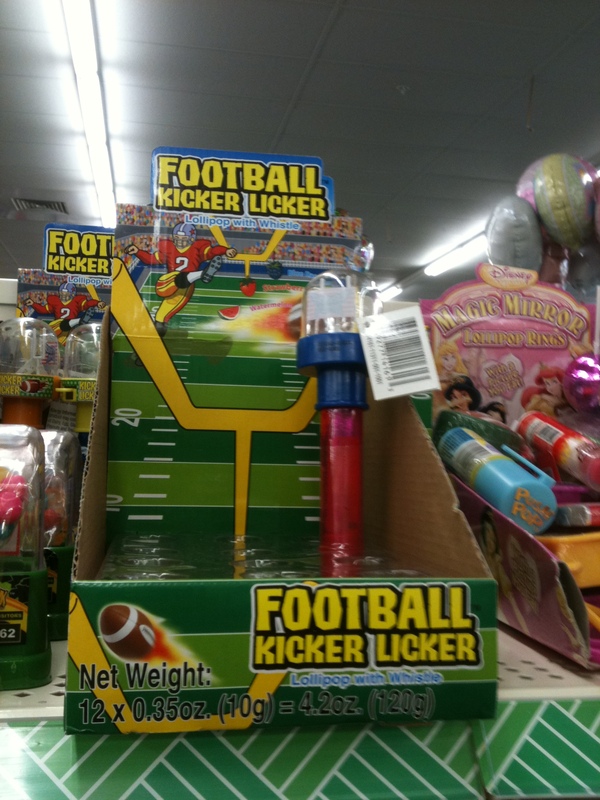 I present to you the Football Kicker Licker. This toy from the Dollar Tree isn’t all that strange. The name, however, could use some work. I’m thinking they assigned the naming of this one to the new guy who was just happy to come up with a catchy, rhyming name. Someone didn’t really think this one through. These are some of the weird toys that I have come across lately. I’m sure that with Christmas right around the corner, there will be plenty more to choose from. What am I missing? What toys have you seen that are strangely named or just plain weird?